Melonie Hau is the Superintendent of Duncan Public Schools. Her district may not be able to implement new programs if taxes for teacher raises are overturned. Oklahoma Taxpayers Unite, a group backed by former Republican U.S. Sen. Tom Coburn, filed a petition to overturn the $430 million tax package, which includes tax increases on cigarettes, gasoline and oil and gas production. To the Superintendent of Ada City Schools Mike Anderson, this news was a bombshell. If Oklahoma Taxpayers Unite gets about 42,000 registered voters to sign its petition by July 18, the question of whether to keep, or to overturn those new taxes goes to a vote of the people. The petition has been challenged in the Oklahoma Supreme Court, but Anderson says superintendents are still anxious. They understand the new teacher pay raises are a law, he says, but district leaders are unsure how schools will pay for them if the taxes meant to fund the salary increases are overturned. 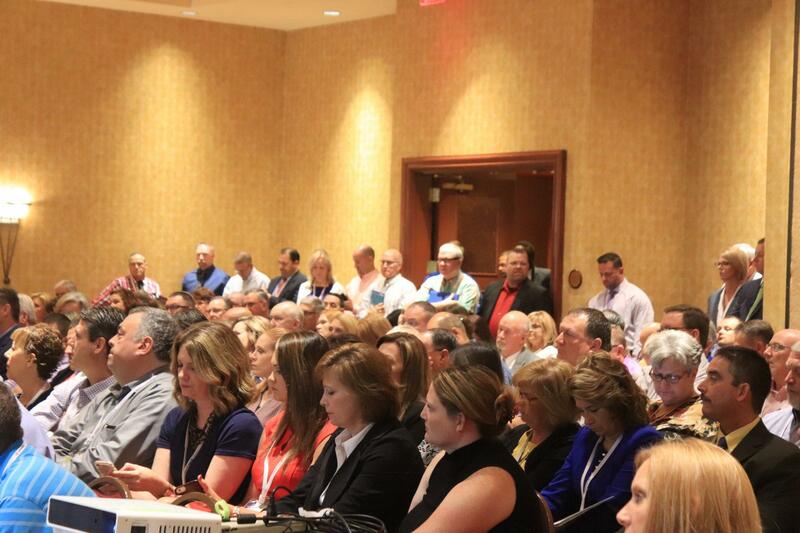 At a recent education conference in Norman, school leaders from across the state packed into a Q&A session about the petition. Peggs Public School Superintendent John Cox said leaders had lots of questions about how the petition would affect their schools. School leaders from across the state packed in to a Q&A session about how the petition could affect their budgets. 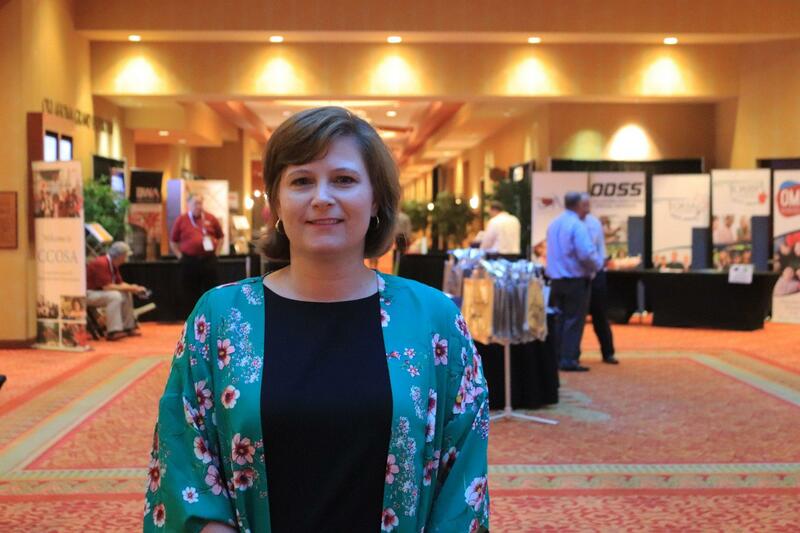 At the conference, superintendents learned that even though the $430 million tax package was passed to help schools pay for raises, schools won’t be the only ones to take a financial hit if the taxes are overturned. Instead, a budget cut would be spread across all state agencies. The effect could mean public schools still get some of the money for the raises — it would be about 70 percent. But Cox says this puts schools in a catch-22: If they’re forced to pay for 100 percent of the raises, but only get 70 percent of the money, districts might have to cut staff in order afford a salary boost for others. And Cox says that’s concerning because there’s no one else to cut. “We’re bare-bones right now,” he said. The Superintendent of Duncan Public Schools, Melonie Hau, said she can avoid cutting staff, but the petition would affect her budget in a different way. But Hau says there’s too much uncertainty for her district to act just yet. Right now, she’s waiting to see how the Oklahoma Supreme Court rules. Two education groups filed legal challenges to the tax repeal petition. Justices heard oral arguments on June 11. One group argued that the new teacher pay raises rely on the tax revenue generated by House Bill 1010xx — therefore they cannot be overturned by a veto petition. Lawyers for another group argued the court should throw out the tax repeal petition because its language is misleading and inaccurate. The proponents of the petition, Oklahoma Taxpayers Unite, argued the wording is clear and that teacher pay raises wouldn’t be affected if voters overturned the tax package. The Court asked lots of questions of both sides. In the end, Chief Justice Doug Combs promised the Court would hurry to make a decision. Many school leaders hope the court throws out the tax repeal petition. If justices allow it to move forward, and it gets the signatures it needs, it’ll land on a statewide ballot. If Oklahomans vote "yes" and overturn the teacher raise tax package, it clears a new trail of uncertainty: Will schools be on the hook to pay the full amount for teacher raises with only some of the funding? Would Gov. Mary Fallin call a special session — and would lawmakers approve a supplemental budget to replace the money? State revenues are up this year — But what about next year? And the next? Ada City Schools Superintendent Mike Anderson says he’s giving his teachers the day off on Election Day, with the hope that they’ll vote "no" on the petition if it gets enough signatures and becomes State Question 799 on the November ballot.